Please contact the Sports and Rec Center for tournament rental requirements. 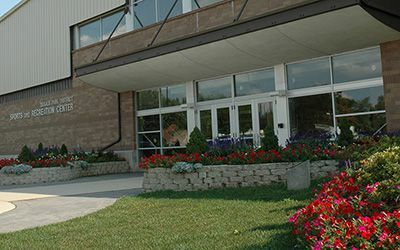 The Fieldhouse at the Sports & Rec. 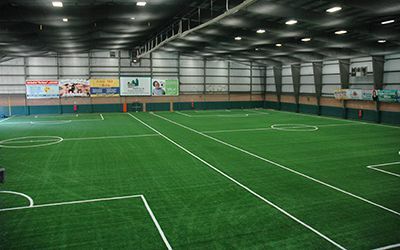 Center is an indoor facility that can be used for a variety of activities including indoor soccer, softball, and practice area for other athletics. The field is a full acre of open space under a 45 ft. high roof. The fieldhouse is rented by the hour and can be divided into full and half fields. Use of the scoreboard is included but the renter must provide an operator. The Sports and Rec. Center has two basketball courts available for rent. All courts are rented by the hour. There are bleachers and a scoreboard. Use of the scoreboard is included but the renter must provide an operator. The Activity Room is located on the 2nd floor of the Sports and Rec. Center. It is a multi purpose room with hardwood flooring. The room is currently used for activities such as aerobics and dancing. 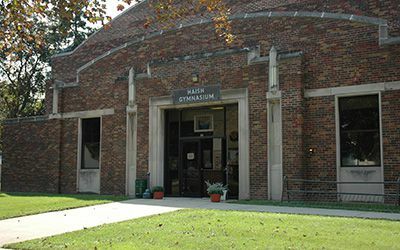 The Haish Gym has two Basketball courts available for rent. All courts are rented by the hour. There are bleachers and a scoreboard. Use of the scoreboard is included but the renter must provide an operator. Why do the work when we can help? Show up and enjoy the party! Let our party coordinator help you choose a date and set up the perfect party for your child. Prices are based on 8 kids and a 2 hour rental. Includes set up and clean up for a themed room, cupcakes and lemonade, and a small party favor bag. Includes all of the above and a full gym to run and play in. Includes everything in the "Super Fun" package plus a staff member on site to host games/activities for an hour of the rental. To make a reservation, call (815)756-8560. The Kiwanis Park Soccer Fields are outdoor fields located directly behind the Sports and Rec. Center. The renter is responsible to provide their own goal nets and corner flags. No alcoholic beverages are allowed at Kiwanis Park. The DeKalb Park District offers a number of softball/baseball fields available to rent. These fields include Katz Park, Hopkins Park, Prather Park, and McCormick Park. The fields are available from 8:00am to 10:00pm. All softball/baseball field rentals include field preparation before use (grooming-lining-setting bases), use of restroom facilities, use of scoreboard controls (renter must provide operator), and keys for restroom facilities, equipment room/box, and lights (if used).